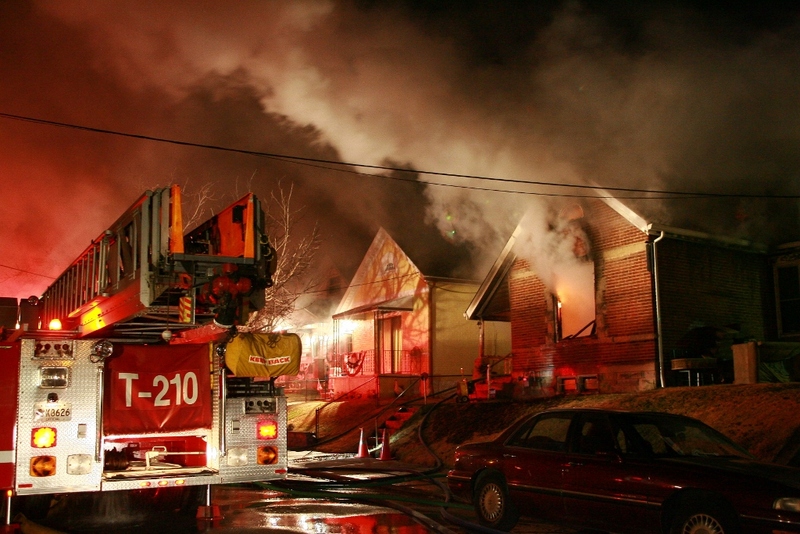 There are more than 15,000 people who die or are injured in house fires in the United States each year. The problem with fire is that it spreads very quickly. In 30 seconds, a small flame can turn into a major fire. In just two minutes, there can be enough heat and smoke to produce poisonous gases that will make you disoriented and drowsy. If you are asleep when a fire begins, the poisonous gases can make you fall into a deeper sleep instead of waking you up. The intensive hot air will begin to sear your lungs, the house will be filled with thick black smoke and the intensive heat can melt clothes to your skin. Within four to five minutes, your home can be engulfed in flames. When there is a fire, there is no time to make a phone call or attempt to put the fire out. Remember that the heat from a fire can be more dangerous than the flames and can be fatal within minutes. The only thing you can do to save yourself and your family when a fire breaks out is to get out of the house immediately. Once you are out, call 911. Crawl as low as possible to your exit, because smoke and poisonous gases collect along the ceiling first. If the door is closed and you see smoke coming in through the openings, leave the door closed and use your second escape route. Always feel the door and the doorknob before opening a door. If the door or doorknob is hot, leave the door closed and use your second way out. If you do open a door, open it slowly. Be ready to shut it quickly if heavy smoke or fire is present. If you can’t get out, close the door and cover vents and cracks around doors with cloth, tape or anything that can help to keep smoke out. Call 911, if possible. Stay where you are and signal for help at the window with a light-colored cloth or other object that firefighters can see. If your clothes catch fire, immediately stop and cover your face, drop to the floor, and roll over and over, or back and forth, until the fire is out. If you can’t get to someone needing assistance to get out, leave the house immediately and call 911. Inform the emergency operator where the person is located. Walk through each room in your house and determine two possible ways to get out of each room. If one way out is blocked from fire, you should always have a second way out. Write the escape routes down for each room on paper as part of your escape plan. For upper floors in your home, you may need to purchase a collapsible ladder for an escape route. Only purchase collapsible ladders evaluated by a nationally recognized laboratory, such as Underwriters Laboratory (UL). Be sure to check that windows in each room are not stuck, and that screens can be taken out quickly. Windows and doors with security bars must have quick release devices to allow them to be opened immediately in an emergency. Have each family member practice how to properly operate them. Talk to small children about what they should do if a fire breaks out. Remind them that hiding during a fire is not safe because firefighters might need to find them. Teach them to be vocal so they can be easily located. Once you have written your escape plan down and your family is fully aware of the escape routes from each room, then you should practice the plan with your family at least twice a year. Practice also at night, with the lights out or with eyes closed, so your family can “feel” their way out of the house if a fire were to occur. The only thing you can do to save yourself and your family when a fire breaks out is to get out of the house immediately. Lives are more important than property!